One my fave sites on earth, Refinery29, has put out its list of the “Top 5 Denim Trends You Need For Fall.” Of course the suggestions are amazing. 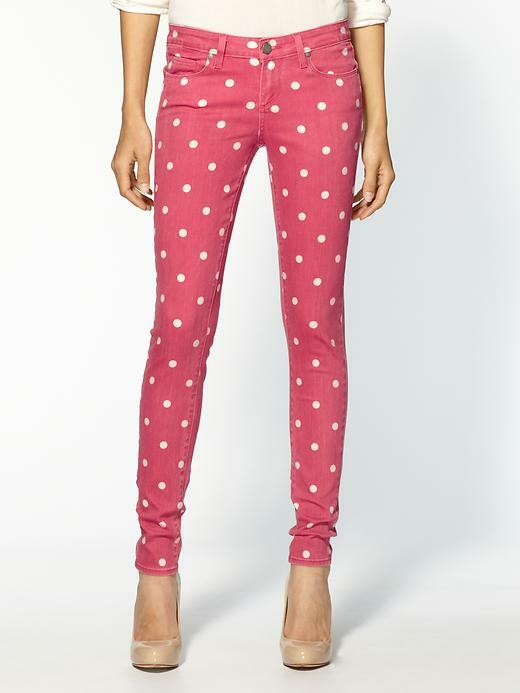 I’m kind of obsessing over these polkadot denim skinnies from Paige denim – takes me back to Bexley Junior High, showing up to school in the same polkadot Guess jeans as my then-enemy (now dear friend) Jill Cameron. Kids. This entry was posted on Tuesday, September 4th, 2012 at 9:11 pm	and tagged with Bexley Junior High, Denim, Fall Trends, Guess, Jeans, Paige, Refinery29 and posted in Fashion. You can follow any responses to this entry through the RSS 2.0 feed.